In Memory of Minister Of Education Dr. Farrokhrou Parsa executed on May 8, 1980 By Islamic Clerical Regime . Dr. Farrokhrou Parsa is one of the over 120,000 execution victims of Islamic Clerical Regime. We should remind you the British made and EU supported Islamic Clerical Regime is a kind of regime which executed 9 years old girl and raped her before execution. 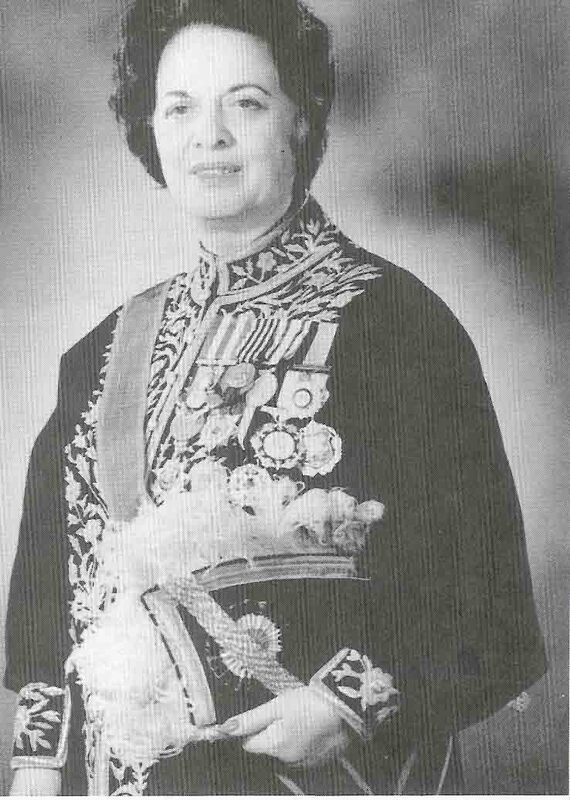 May Dr. Farrokhrou Parsa memory always be remembered and may she rest in peace..
LONG LIVE PERSIA - LONG LIVE FREEDOM !!!! I really hope for her, she is the one who gave the iranian women's right to vote and to have a voice..... she served our country. I hope the ones who killed her shall burn in hell!! WOULD YOU F**KING QUIT IT WITH THESE GODDAMN LINKS??? WHAT HAS A CRAPPY ISLAMLOVING SITE TO DO WITH THE MURDER OF Dr. Farrokhrou Parsa?? I've noticed that there are noticeable Islamic tendencies among even the old Monarchist guard. For example, I remember hearing a tape circulated in Iran, of Haideh's death-bed interview, and her funeral. People were saying that she used to say prayers! What do you think of that?